Lynette and Marc Apodaca’s son Marc was diagnosed in 2007 with a diffuse intrinsic pontine glioma (DIPG). The couple quickly realized how little help there was in the form of treatment, information and support for the families facing this type of cancer. Much of the information found, from research online or medical journals, was very difficult to decipher because it was not in laymen terms. However, the family identified many families who were facing or who had faced the same problem and their willingness to help in anyway they can. Through their own independent research, these families found diets and alternative options that offered their child a quality of life that the medical providers did not offer. We want to work with families who are still searching and with families who have found alternative ways to help their child fight this insidious disease. We must work as a team as we are the only hope our children may have. My husband’s eulogy was titled “Our Brave and Courageous Champion,” because that’s what Marc, Jr. (“MJ”) was to all who knew him. When MJ was diagnosed in April of 2007 with diffuse intrinsic pontine glioma (DIPG), our family’s life entered a state of desolation. Our only son was diagnosed with an inoperable, incurable, and terminal brain tumor that strikes children usually between the ages of 5 and 11. Taekwondo in which he was a redbelt. He enjoyed the outdoors where he loved to fish and snowboard. He enjoyed playing basketball and envisioned himself one day playing in the NBA. Throughout the duration of Marc’s sickness he never gave up. He never complained once and was all about courage. He displayed an awesome amount of determination and will. He loved life to the fullest. In this we are so very proud of him. Marc is our family’s inspiration to live on. We loved to care for Marc, to watch him laugh and have fun. We thank God each day for allowing Marc to be a part of our life. About a month after being diagnosed with the DIPG, Marc started to suffer from weakness and headaches, so it was decided to start radiation. According to his doctors, Marc’s symptoms would dramatically improve (after the radiation), and they did. However, the symptoms recurred six months later and we were told that Marc would not survive longer than 12 to 14 months. (Incredibly, even saying it and having gone through it, I am wondering how does a parent handle this kind of news). After a difficult, courageous and heartbreaking struggle, Marc peacefully passed away on February 8, 2008. The months to follow were filled with heartache and a complete sense of emptiness not only for ourselves but for our entire family and our circle of friends. We questioned our faith; went to grief counselors; tried to talk about it, but nothing made a difference because Marc was still gone and nothing was ever going to change that! Please join us in getting the word out about the deadly childhood cancer that DIPG is and help us to help others in fighting and surviving this devastating and horrific disease. Melinda and Dean Steadman’s son Ben was born on August 11th, 1999, the same day as the last total solar eclipse of the millennium. Our journey as a family had finally begun and, like the eclipse, Ben overshadowed everything else, becoming the center of our world. Eighteen months later, his little sister was born and our family seemed complete. They became best friends who constantly looked out for each other. Madie was willing to play Power Rangers and Ben was often seen dressed up as a princess. We looked on with wonder and amusement, always amazed at how lucky we had become to have this beautiful family. became slurred and he could no longer write his name. On September 8th, 2005, our world crumbled when we were given the diagnosis. Ben had a brain tumor called a diffuse intrinsic pontine glioma and it was terminal. We couldn’t comprehend it at first. Ben was going to die and there was nothing we could do to save him? The most we could hope for was a good response to radiation treatment, hopefully buying us a few more months. We were sent home with a few handouts and little hope. We scoured the internet looking for any information. Wanting to find anything that would help us, not only to save our son’s life, but to help us know what to do now. With little to go on, we decided on radiation treatment and several homeopathic medicines. Ben handled all of it with complete trust and courage, always willing to do what was asked of him. We also decided to do as much “living” as possible with whatever time we might have left. We managed several trips including a Make-A-Wish trip to San Diego. Ben was given a puppy we named Peaches. We were even allowed to feed the elephants at the Denver Zoo. Treatment brought us an additional 7 months which we spent doing our best to live life to its fullest. Our goal is to support and educate the families battling DIPG until a cure can be found. One way for us to facilitate this goal is to share our treatment plan and our experiences. Hope and Pete Walsdorf’s son Samuel was a typical 5-year-old boy. 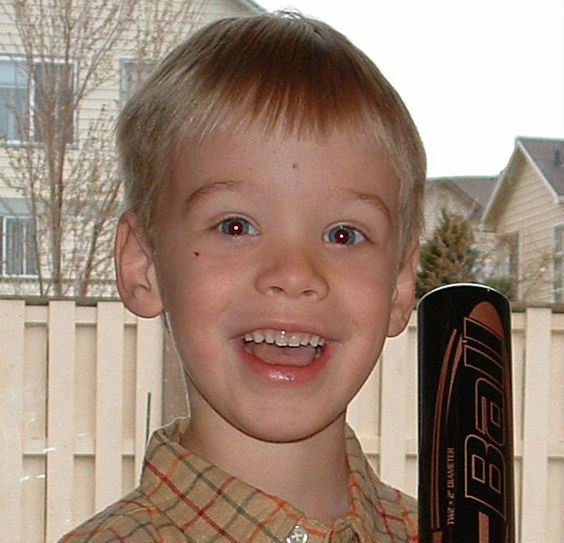 His passions were baseball, hockey, motorcycles and playing with his younger sister and brother. He was excited about starting his kindergarten year and especially about learning to read. Sam had an infectious laugh and a caring heart. He dreamt of being a professional baseball player – he wore his baseball pants almost daily and slept with bats, gloves, or baseballs instead of teddy’s. Our lives were turned upside down. Sam seemed to regress daily — having difficulty eating, sleeping, needing help walking, and slowly losing basic motor skills. Eventually, he gave up talking but learned to communicate with his eyes. The only medical treatment options given to us were steroids and 6 weeks of radiation, both which Sam endured and barely survived. In our desperate attempts to save our son’s life, we reached out to alternative therapies — herbal supplements, homeopaths, energy, and light therapy. 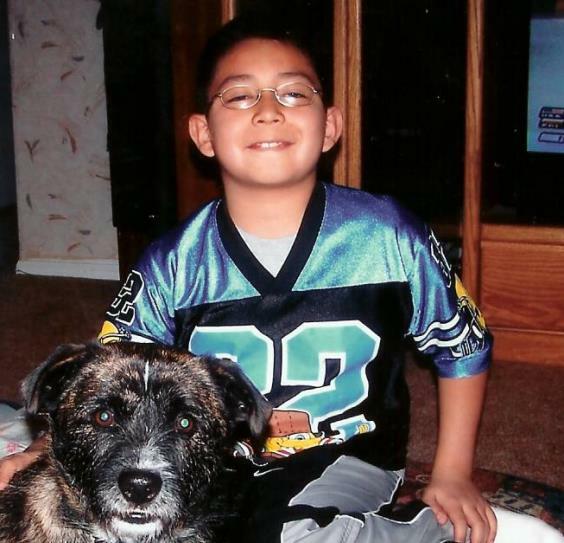 Through all this, Sam showed strength, courage, faith, and willingness to play and laugh. Without his speech, he was unable to tell us what his thoughts were. He accepted his disease and lived the best he could. By Thanksgiving, Sam’s tumor began to grow again. We were given a few weeks left with Sam. 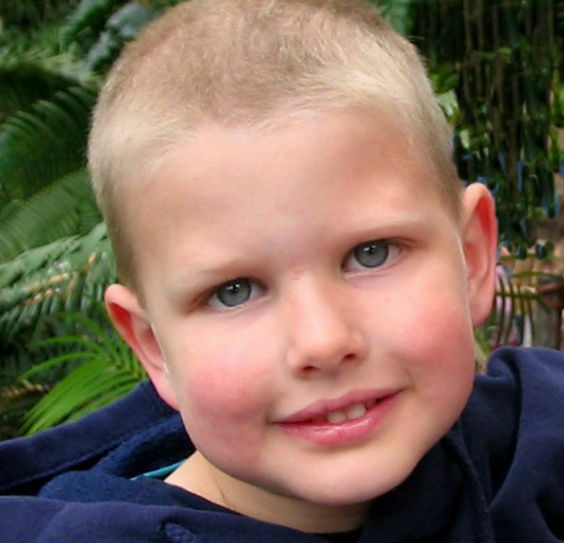 Sam died February 2nd, 2006 … 19 days before his sixth birthday … 6 months and 7 days after his diagnosis. Samuel is and always will be our hero. He gave our family strength and faith that we never knew we had. He pulled people together. He made us smile in very, very hard times. He is a true champion. Haris Ibisevic graduated from George Mason University in 2011 with a BS in Economics. 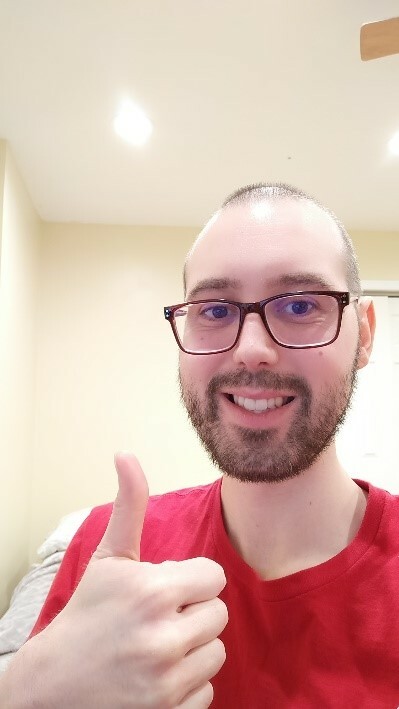 In January 2015, after he started working for Accenture as a Software Consultant, he noticed his first symptoms of Diffused Intrinsic Pontine Glioma - double vision and weakness on the right side of his body. Then in August 2015, at the age of 25, his DIPG diagnosis was confirmed after doctors performed a Biopsy at Children's National in Washington DC. This diagnosis was very unexpected, as he has no family history of cancer, and he doesn't fall under the age range in which kids usually get this type of brain tumor. DIPG completely changed his life around and that of his family. Their priorities in life have shifted, and Haris has to deal with anxiety and side effects daily. The fear of the unknown is causing tremendous stress and worry, but Haris has learned that he has no other choice but to fight. He underwent 33 sessions of Radiation and about 2 years of Chemotherapy. Now, his doctors are looking at immunotherapy and other options that could help him battle this beast. In the meantime, Haris is going on disability and trying to focus on healing, exercising as much as possible, and enjoying life's challenges as they are thrown at him. Some of his hobbies include biking, hiking, snowboarding and skate-boarding. He hopes to continue doing these for a very long time. Sharing your personal story can provide solace to yourself and offer hope for others. Need help on what to say? Consider one of these conversation starters. What advice would you give to a family facing a DIPG diagnosis? How has having a child diagnosed with DIPG cancer changed your outlook? What gives you and your child strength during treatment? I want to share my experience, but do not want to be considered for a Feature Story. Yes you have my permission to email me for a photo of my child.